WILMINGTON - The American Law Institute has appointed Norman M. Powell one of its six members of the Permanent Editorial Board for Uniform Commercial Code. Composed of members from the American Law Institute and the Uniform Law Commission, the Permanent Editorial Board monitors current drafting activities of the Uniform Commercial Code. The PEB also prepares commentaries and advises the ALI and the ULC on further changes needed in the Uniform Commercial Code. Mr. Powell has served as an American Bar Association Advisor to the PEB since 2013, and looks forward to continuing his work on the Board in this new position. The Uniform Law Commission, also known as the National Conference of Commissioners on Uniform State Laws, was established in 1892 and provides states with non-partisan, well-conceived and well-drafted legislation that brings clarity and stability to critical areas of state statutory law. Commissioners are appointed by their state governors. The American Law Institute was founded in 1923 and is the leading independent organization in the United States producing scholarly work to clarify, modernize, and improve the law. The ALI drafts, discusses, revises, and publishes Restatements of the Law, Model Codes, and Principles of Law that are enormously influential in the courts and legislatures, as well as in legal scholarship and education. By participating in the Institute’s work, its distinguished members have the opportunity to influence the development of the law in both existing and emerging areas, to work with other eminent lawyers, judges, and academics, to give back to a profession to which they are deeply dedicated, and to contribute to the public good. Mr. Powell was elected to membership in the ALI in 2011. Mr. Powell is a partner in the Delaware law firm of Young Conaway Stargatt & Taylor, LLP, where his practice includes formation of and service as Delaware counsel to corporations, limited liability companies, and statutory trusts, and the delivery of legal opinions relating to such entities, security interests, and other matters of Delaware law. 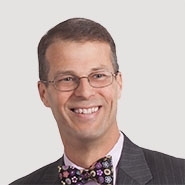 He teaches Secured Transactions as an adjunct professor at Temple University James E. Beasley School of Law, and is admitted to practice in Delaware, New Jersey, New York, and Pennsylvania. Mr. Powell can be reached at [email protected]. Young Conaway Stargatt & Taylor, LLP counsels national and international clients, handling sophisticated advisory and litigation matters involving bankruptcy, intellectual property, corporate and alternative entity law. Young Conaway also guides regional businesses through a myriad of employment, education, real estate, tax, estate planning, environmental, and banking issues. For additional information, contact Marketing and Business Development Director Felicia Gojmerac, [email protected].